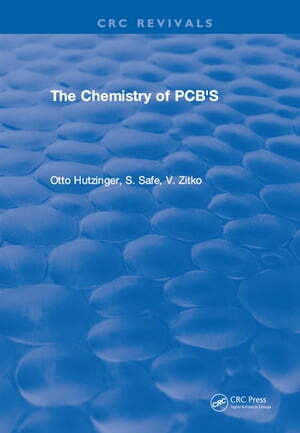 Collins Booksellers - The Chemistry of PCB'S by Otto Hutzinger, 9781351087490. Buy this book online. The literature on chlorinated biphenyl is growing rapidly. Review articles on PCB's cited in this book usually contained a section on the toxicity of PCB. The structure and nomenclature are detailed. The chapters and topics included are (1) commercial PCB preparations: properties and compositions, (2) synthesis of chlorobiphenyls, (3) chemical reactions of chlorobiphenyls, (4) photodegradation of chlorobiphenyls, (5) metabolism of chlorobiphenyls, (5) mass spectroscopy of chlorobiphenyls, (6) nuclear magnetic resonance of chlorobiphenyls, (7) ultraviolet spectroscopy of chlorobiphenyls, (8) infrared spectrometry of chlorobiphenyls, (9) determination of chlorobiphenyls, and (10) recent developments.